I received these items as a gift for the holidays and loved them so much that I had to do a review about them. Unfortunately, looked up some of the items on Sephora and they are no longer in stock because they were a limited edition set for the holidays (LipSurgence set and Brush set). 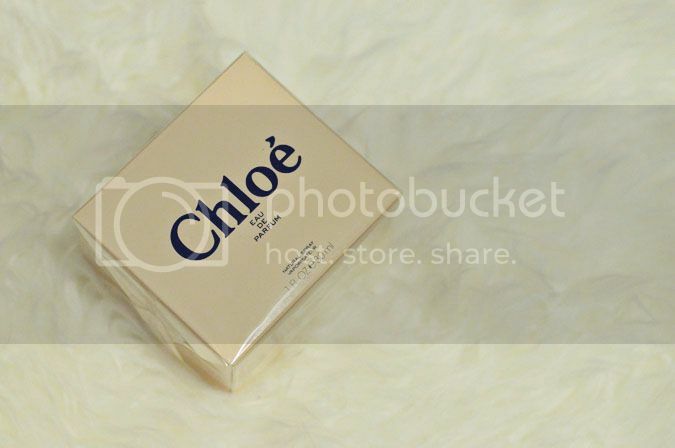 The first is the ever coveted Chloe Eau de Parfum that I think is the best everyday scent. It's a classic, fresh, feminine scent that can never get too overwhelming. I will probably wear this interchangeably with my Marc Jacob's Daisy which is another great scent. The second is by Tarte and actually came as a set of five (the fifth is probably floating around in my bag somewhere). Can still be purchased separately. It gives your lips a nice tint without drying them out. Almost comparable to Nyx's Matte Lip Cream but instead with the extra moisture. Nice variety of colors for any time of day. 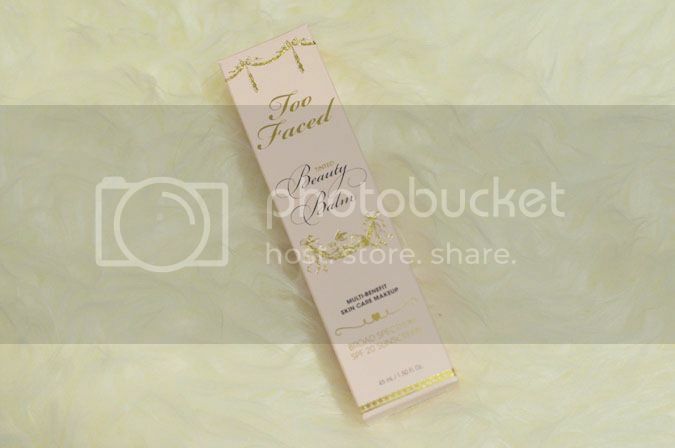 Third pictured is TooFaced's BB Cream. I've been searching near and far for a good BB cream and I've tried out many--Korean brands such as Skin 79 and Misshka which I've heard great things about (really good reviews but just wasn't personally for me) left a grey, greasy residue on my skin. What I like about this one in particular is that it feels very light on the skin but still provides enough coverage. Left my skin feeling soft, looking natural and with a pretty matte finish. 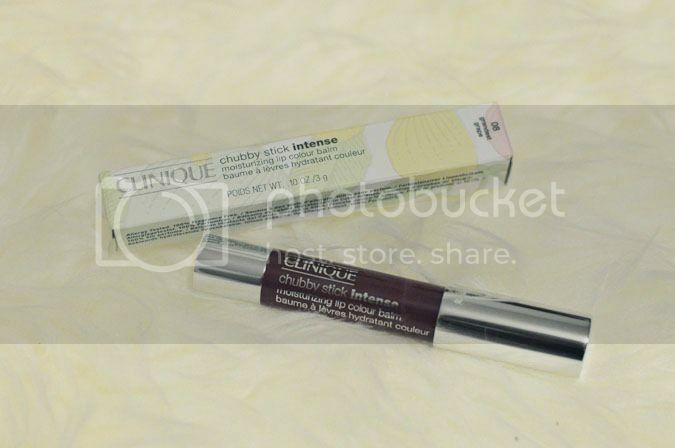 The Clinique Chubby Stick is again like the Tarte LipSurgences so I won't go into that. I do, however, love that shade in particular. 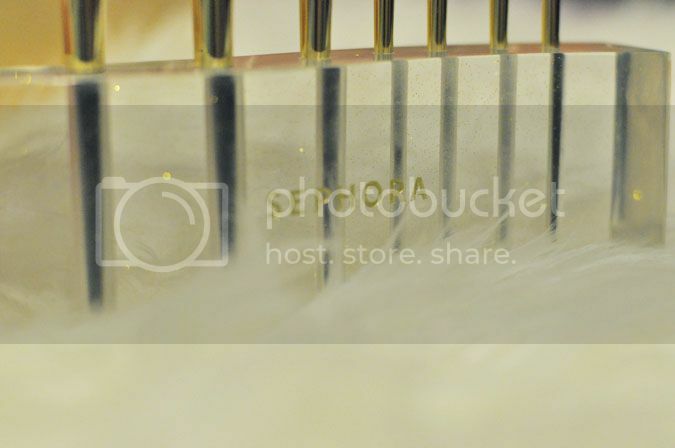 Lastly, one of my favorites of the bunch, are these gold brushes. They really are divine! 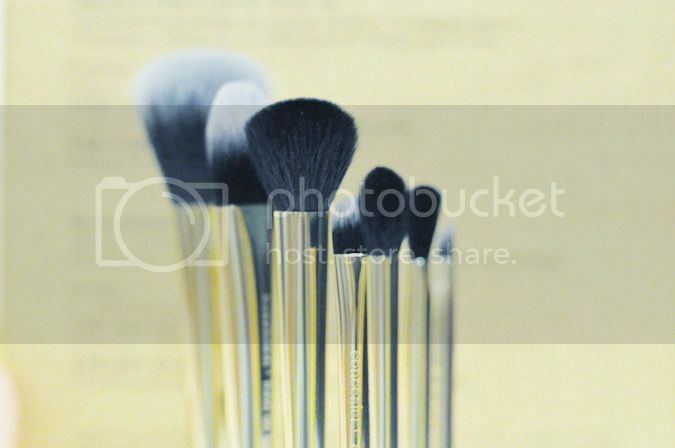 The actual brushes are good quality and they're just so...for lack of a better word...pretty. 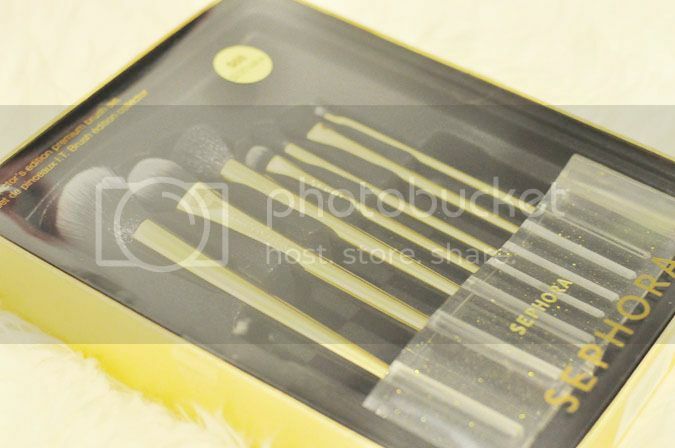 It also comes with its own gold-speckled brush stand which looks nice displayed on your vanity. Hopefully they'll bring it back!